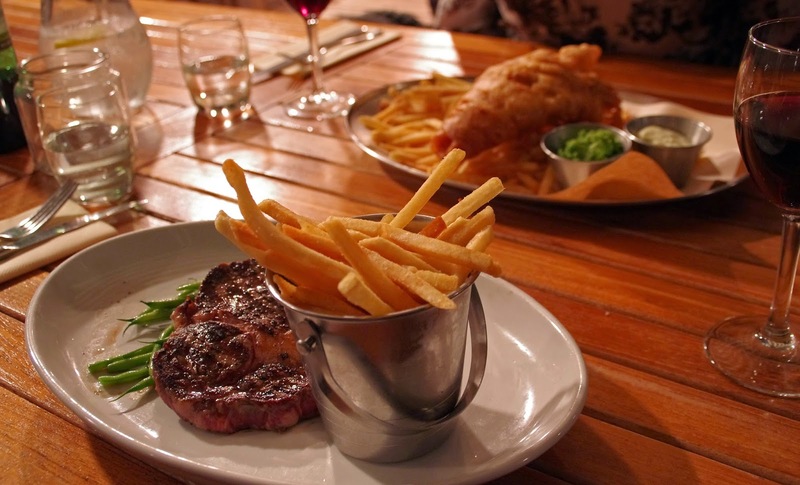 The Beach Hut has humble origins as a bucket and spade shop and over the years has established itself as one of Cornwall’s best restaurants and beach side hang outs. Being lovers of both the beach and good food we held pretty high expectations for The Beach Hut… Expectations that were beyond exceeded. Executive Chef Neil Haydock takes great pride in serving quality, fresh, seasonal and locally sourced food in a relaxed, easy going yet classy venue. Open for breakfast, Sunday Brunch, lunch and dinner and offering the most magnificent views over the beach & beautiful Watergate Bay. Low key and relaxed with a touch of luxury we fell in love with The Beach Hut immediately. We arrived for a dinner on Easter Friday and despite being super busy the moment we stepped inside we were greeted by friendly staff and ushered to our table on the deck. 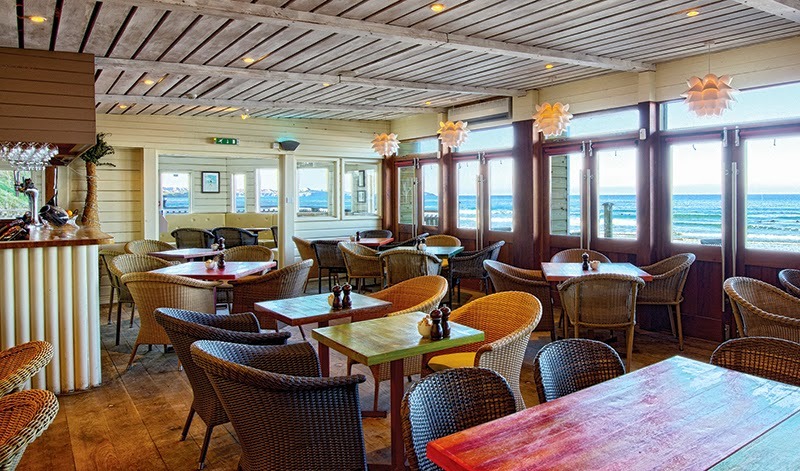 The aroma of fresh seafood and incredible smells wafted through the restaurant and we enjoyed the relaxed but classy decor of the restaurant. Busy, but not crowded it was evident immediately that everyone there was enjoying their night and meals! 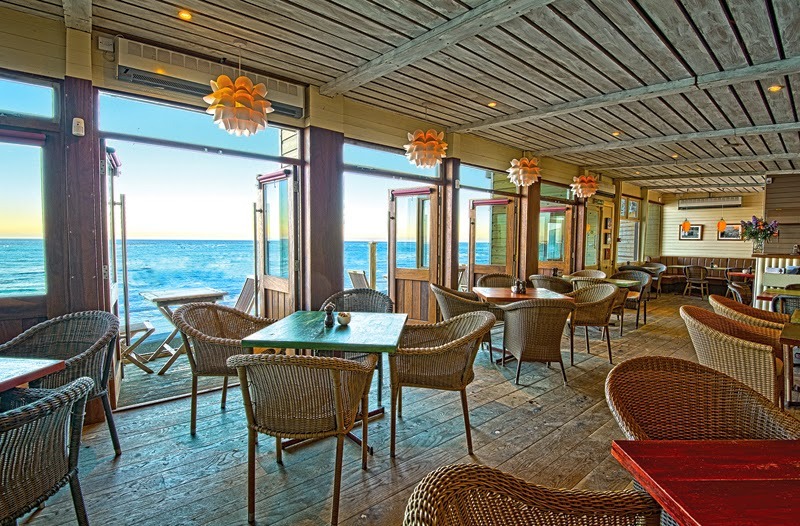 The glass covered deck boasts the most incredible views of the beach (even at night) and whilst closed as it was chilly, we were told can be opened in summer. We certainly plan on coming back to bask in the sunshine on the deck during summer. The wine menu is extensive and so with the help and advice of our waiter we chose a bottle of the Las Manitos Shiraz Malbec from Mendoza in Argentina. That it certainly was. A smooth red that went down perfectly with every aspect of our meal – especially the ribeye! 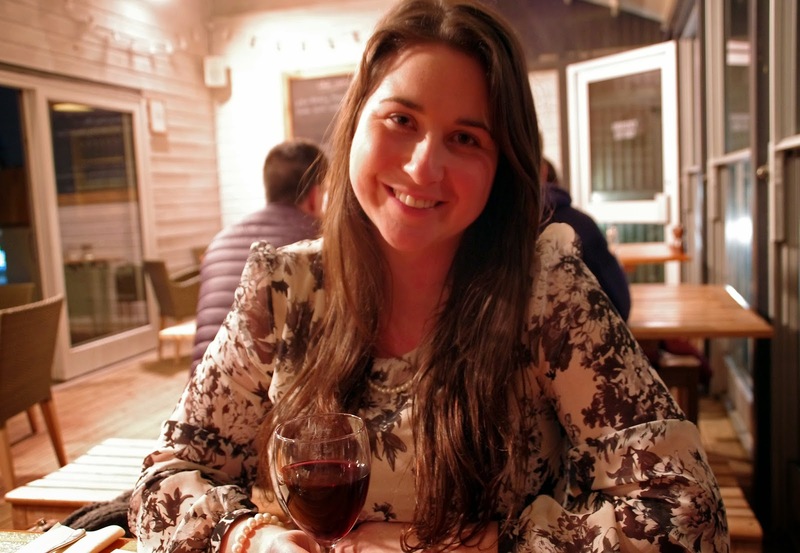 I spent a week winery tasting in Mendoza in 2013 and the wine was every bit as good and flavoursome as the wines we indulged in whilst there. 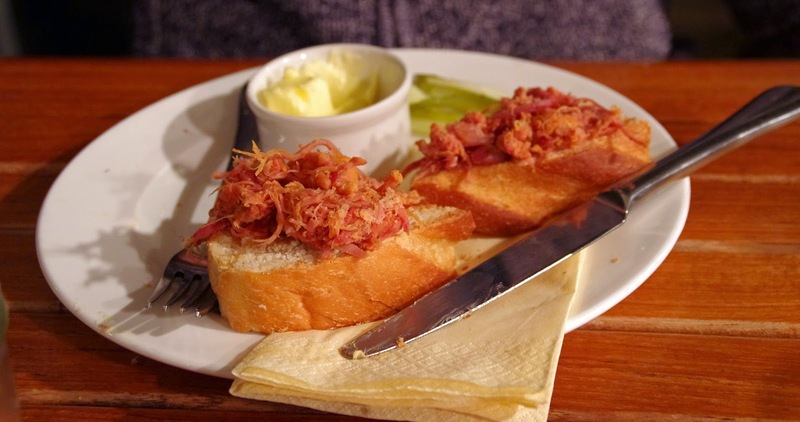 It’s not hard to understand why it is a favourite of The Beach Hut and now a favourite of ours! 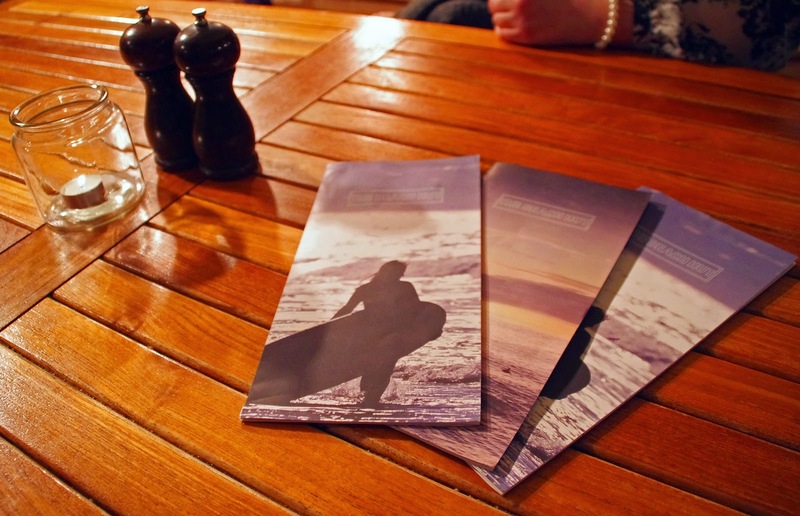 I loved that the menus gave you more than just the large mouthwatering selection of food and wine they were also personalised with stunning images of Watergate Bay itself and a history of The Beach Hut detailing its humble origins as a bucket and spade shop to its current life as a thriving restaurant in the heart of Watergate Bay. I opted for the grilled tiger prawns (with their shell on) for my entree. 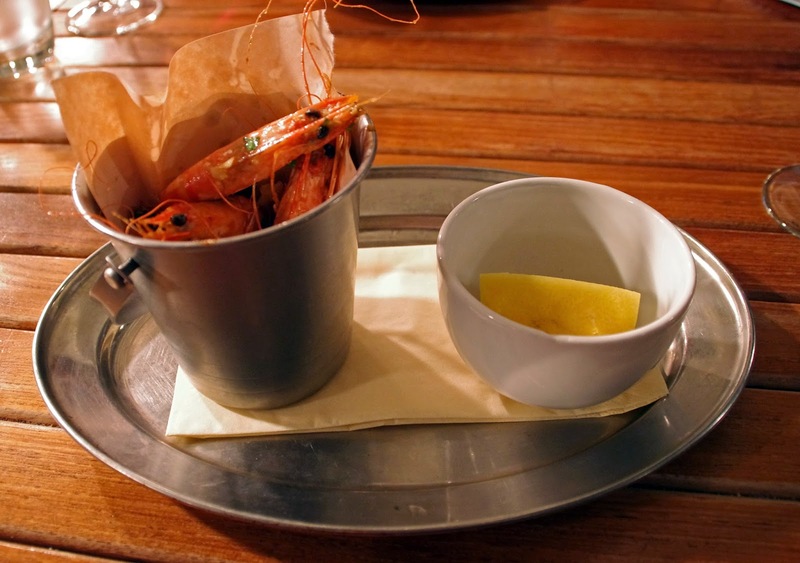 The prawns arrived, served in a silver bucket and were a unique, effective way of presenting the food that embodied its history and location. The prawns were grilled with mouthwatering chilli and garlic flavours. 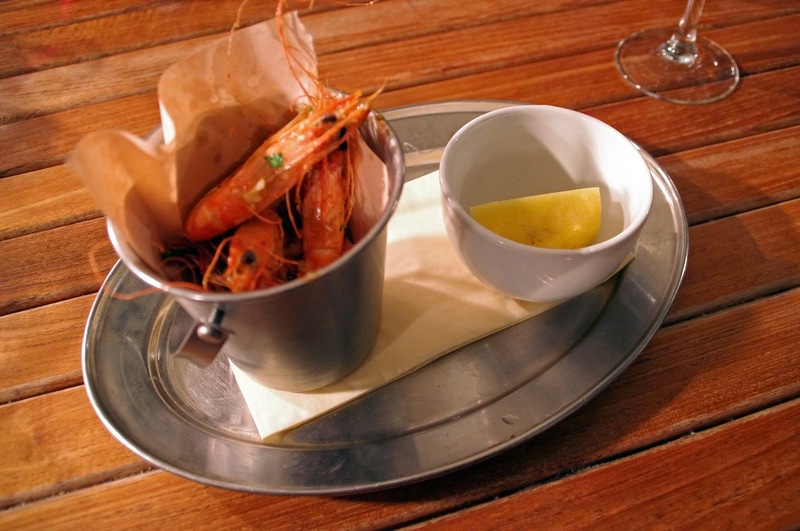 Soft, succulent and flavoursome, the tiger prawns were the perfect start to the meal. 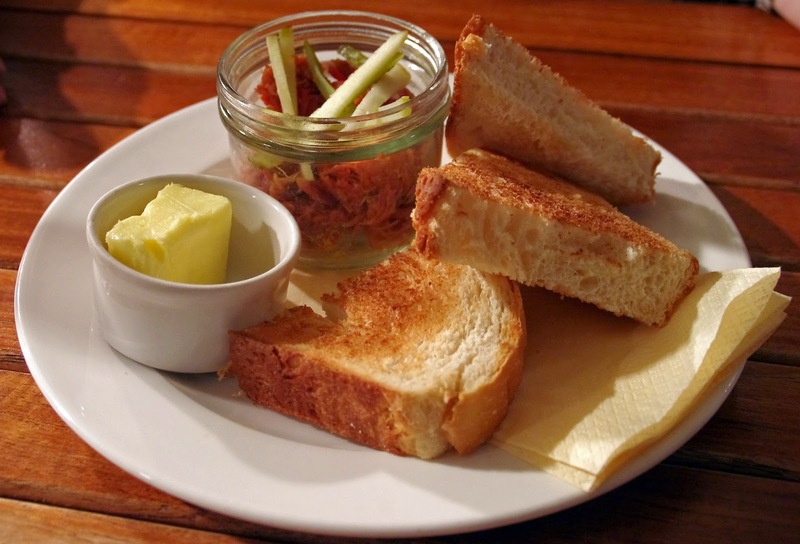 Dan, being a real carnivore chose the rillette of pork with spiced butter, cornichons and bloomer as his entree. Well seasoned, full of flavour and perfectly cooked the pork went down a treat with the freshly baked bread and delicious butter. Our entrees were generously sized and left us excited to see what delicious dishes we had coming up. The Beach Hut has daily changing blackboard specials and I chose the Cod with chips for my main course. I was blown away when our waiter brought it out, it was huge and I couldn’t wait to tuck in! 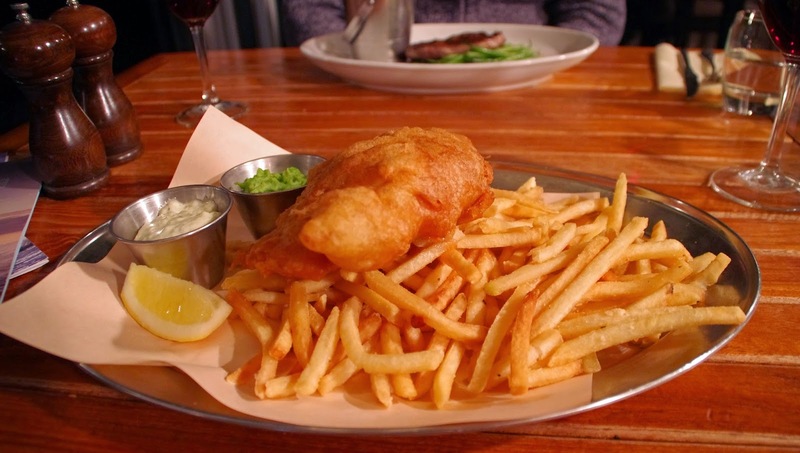 The chips were crispy, golden American style fries accompanied by fresh mushy peas and a mouthwatering tartare sauce. But most importantly the cod was to die for. 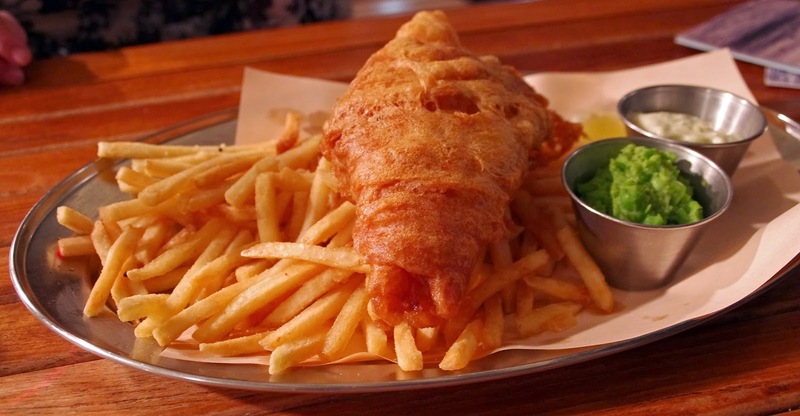 Deliciously battered, delicate cod that flaked in your mouth. We always share our meals and Dan couldn’t stop raving about how it was the best cod he had ever eaten. I savoured every bite of the perfectly cooked locally caught cod. It really was an incredible dish, one I won’t forget for a long time. 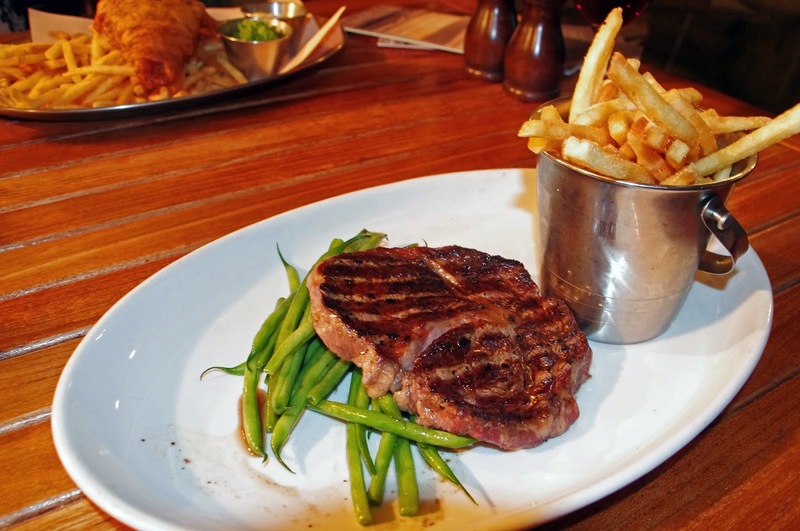 The Cornish rib eye served with either baked potatoes or fries, sour cream and a mixed salad or eg of the day caught Dan’s eye whilst perusing the menu. He opted for fries and the veg of the day which was fresh green beans. Medium rare, perfectly seared on the outside whilst tender and juicy on the inside. Again, a very generous sized serving yet we managed to leave the plate empty by the time we had finished. It was too delicious to leave any behind – no matter how full we were! Last but certainly not least was dessert and I don’t know how we managed to fit it in but after looking at the mouthwatering menu we managed to find room for it. 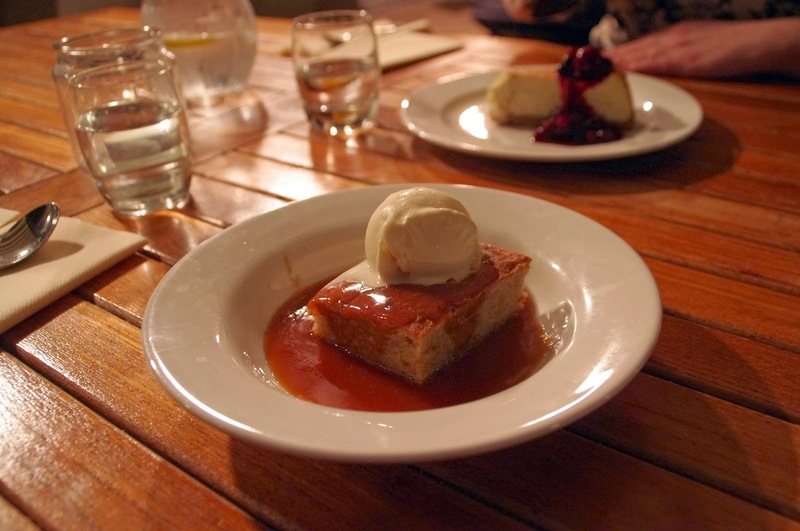 It was a hard decision but the toffee apple cake with vanilla ice cream and baked cheesecake with fruit compote stole our hearts (and stomachs). 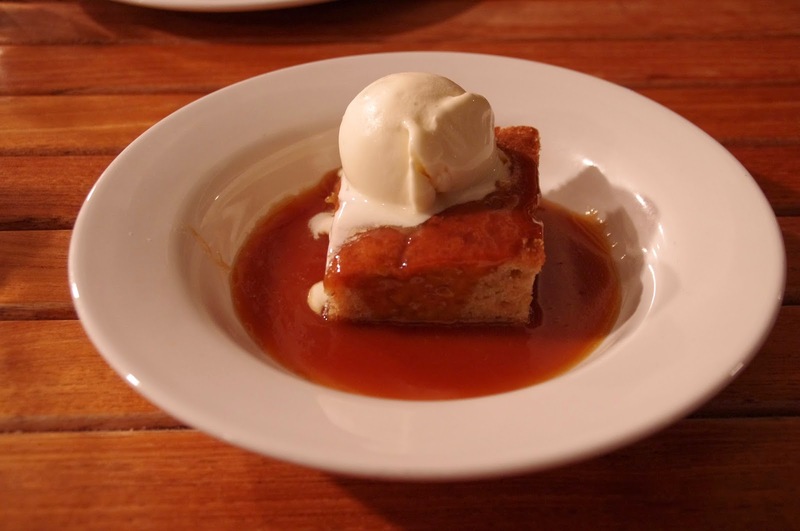 The toffee apple cake was warm, soft, gooey and rich topped with the creamiest of ice cream. 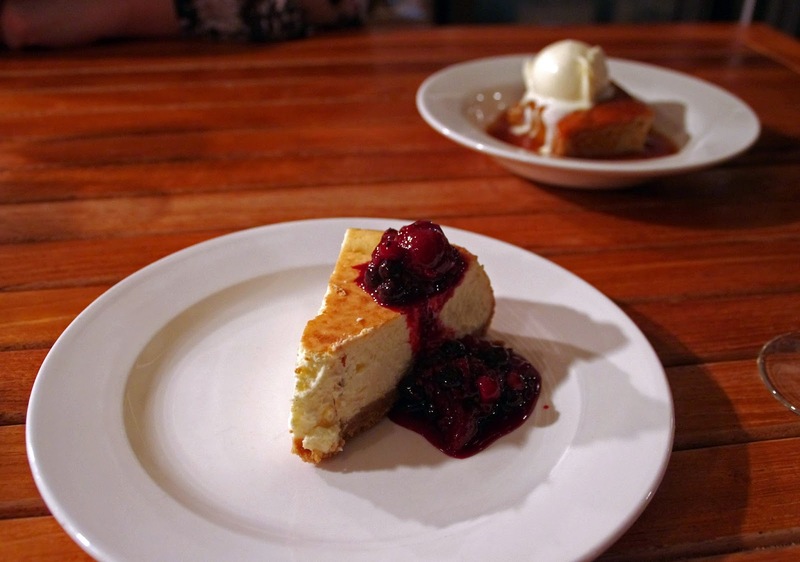 The baked cheesecake topped with a sweet berry fruit compote was the perfect finale to the perfect meal. We walked out with happy with very full tummies chattering non stop about how incredible our night was and a week later Dan is still talking about how it was the best cod of his life. 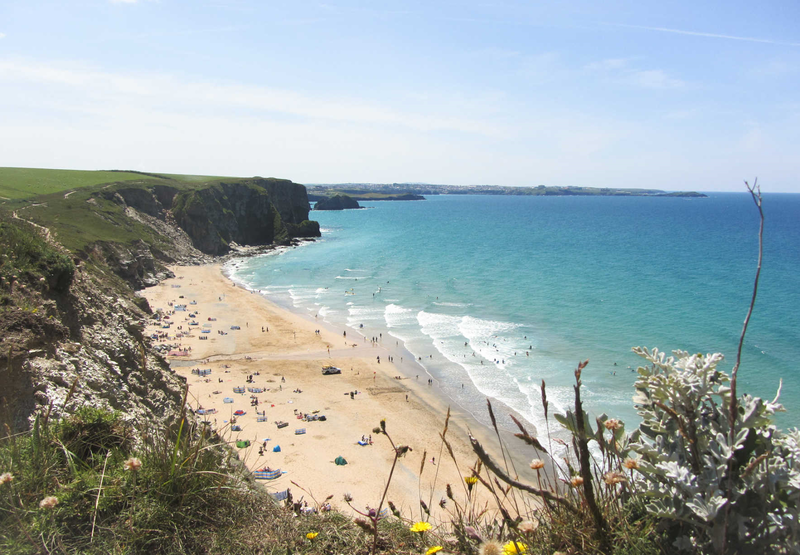 For anyone visiting Newquay and even Cornwall – do yourself a favour and pay a visit to The Beach Hut! 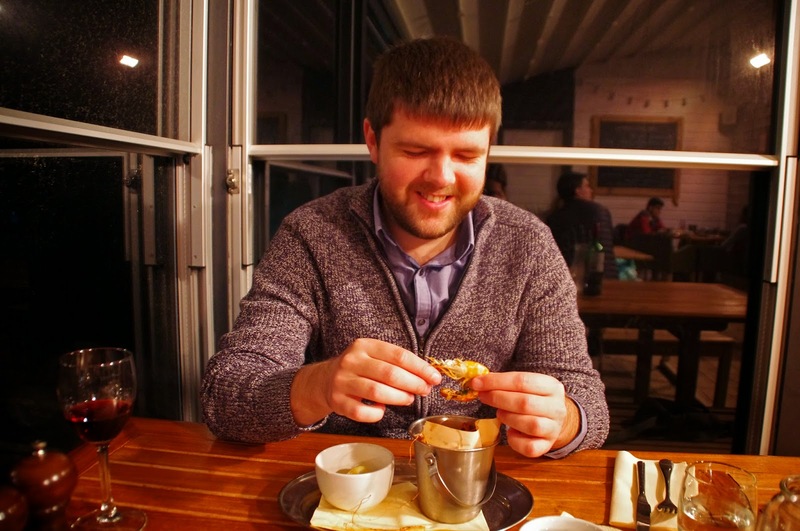 A relaxed atmosphere with jaw dropping views and food to die for you’ll fall in love with The Beach Hut just as we did. 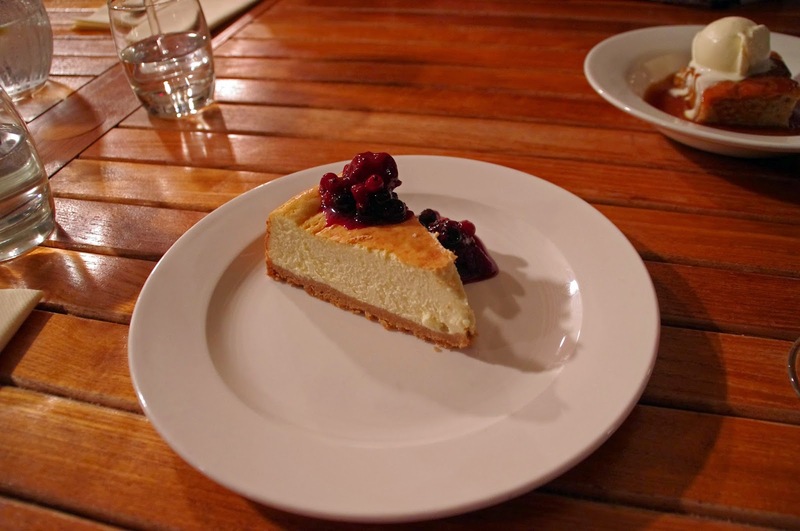 To top it all off the service was top notch – relaxed and friendly whilst still attentive! It’s not often you get both quality and quantity but they have truly perfected just that. We can’t wait to come back! 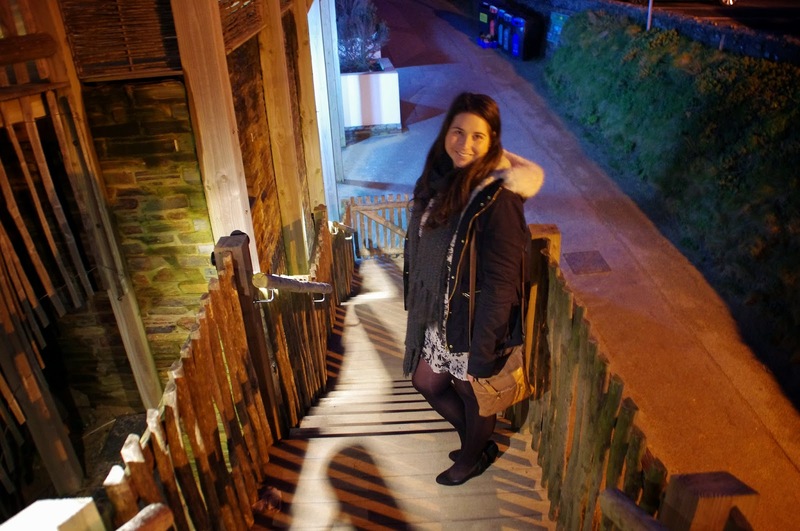 The Aussie Flashpacker was invited to review The Beach Hut.